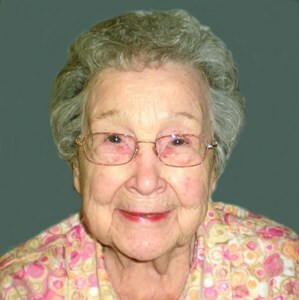 Dorothy E. Koch, 98, of Green Bay, beloved wife of the late Carlton Koch, passed away on September 11, 2018 at Rennes Health and Rehab peacefully in her sleep. Dorothy was born on August 1, 1920 in Shawano, daughter of the late William and Leona (Tews) Schultz. She married Carlton on September 11, 1943 and they celebrated 51 years of marriage. He preceded her in death in 1994. They resided in Green Bay before moving to Florida where they had many friends and loved to have family and friends visit. After 18 years they moved back to Green Bay to be closer to their family. Family was extremely important to her. She loved talking about her grandchildren and great grandchildren, of whom she was most proud. Dorothy is survived by her daughter, Nancy DeBoth and her beloved grandchildren: Steven VanderMissen, Kim (David) Mueller, Deb (Todd) Schmidt, Michelle (JR) Onyschak, and Nicole (Trenton) Edge. She also leaves her great grandchildren: Michael, Branden, Hunter, Anthony, Ian, Emma, Spencer, Owen, Sydney, Quinten, Jack, Allison, and Vanessa. Dorothy is preceded in death by her daughter, Carol Reno, and her brothers, Roy (Myrt) and Harold (Virginia). Visitation will be held on Sunday, September 16th from 1 PM - 2 PM at Grace Lutheran Church, 321 S. Madison Street, Green Bay. A service celebrating Dorothy's life will follow at 2 PM. Interment will be in Fort Howard Memorial Park. Her last years at Rennaissance and Rennes in DePere were filled with genuine care, love, dignity and respect. Also a special thank you to Lynn. She loved your visits and appreciated that you brought her communion. To share a memory of Dorothy with her family please click on the share memories button above. Add your memories to the guest book of Dorothy Koch. My sincere sympathy to you. I remember going to her apartment and planning with you and your Mother. May you be surrounded with family and friends as you celebrate her life.